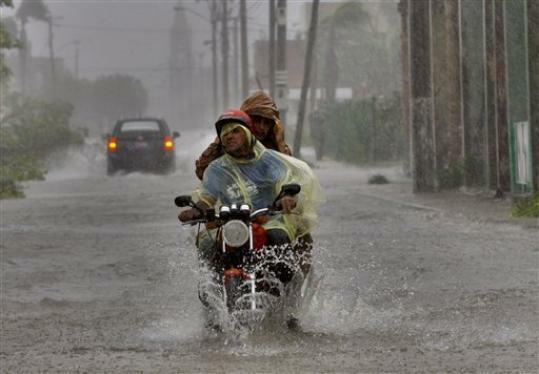 Hurricane Ike Can’t Keep Bikers Down! 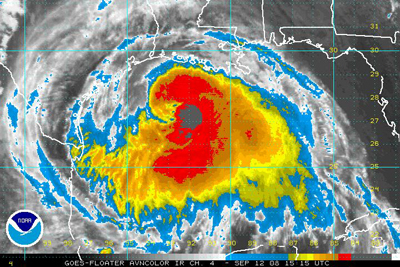 Hurrican Ike headed for Galveston, TX "Certain death for those that do not evacuate." It is true; the hurricane has got nothing on us. For those of you out in the rest of the country, you may or may not be aware of the devastation Ike left on Galveston and the Southern Houston area. The ArtBiker family was lucky and suffered some minor damage and was only without power for about 11 days. With the aid of battery operated radios, we were able to find out a little of what was going on. When we did get our power back, all the local stations were still running Ike news 24/7. The city forgot about everything as we focused on FEMA Points of Distribution, Ready to Eat Meals, and $12 bags of ice from the few price-gouging vendors who had the balls to try and take advantage of the situation. The news took our breath away. Neighborhoods were gone… yes, literally gone! Not even rubble left behind, just bare land! If you have not seen the pictures, do a search and check out the damage. A Charity Casino and Auction benefiting Ronald McDonald House. An attempt to bring more major entertainers in for benefit concerts. Vendors will hold Trick or Treat for the Galveston kids from 6pm-9pm on Friday. LSR will hold a kids costume contest. The top five kids will get new bicycles. Over 20 donation stations around the venues will be set up. A special Rally to Rebuild logo can be added to the Official T-Shirt for a donation to the Rally to Rebuild Fund. A telethon will be held inside the Convention Center on Saturday to raise money. If given enough space on the Seawall, LSR will provide free space to Galveston merchants who have product to sell but no place to sell it. This is all fine and good, and we applaud the LSR Team for their efforts, but what is the rally going to offer all those bikers they are hoping to attract? Well, in past years, this rally has drawn nearly 500,000 riders to the island of Galveston. This year there will be a special concert by the Beach Boys as well as three stages around town featuring 60 bands. Demo fleets, deep sea fishing and dolphin tours, AMA tours and poker runs, a Halloween Costume Biker Parade and the World’s largest Leather and Lace Ball, ghost ship tours, the Lone Star Lady Riders’ Conference, as well as your usual bikes, babes, beer, and other standard rally fare. The ArtBiker family will be there in force, taking pictures, holding wedding ceremonies, passing out free ArtBiker cards and gear, and kicking back with a cold one while watching the world go by. If you make it, please come on up and say hello, we would love to meet with you. 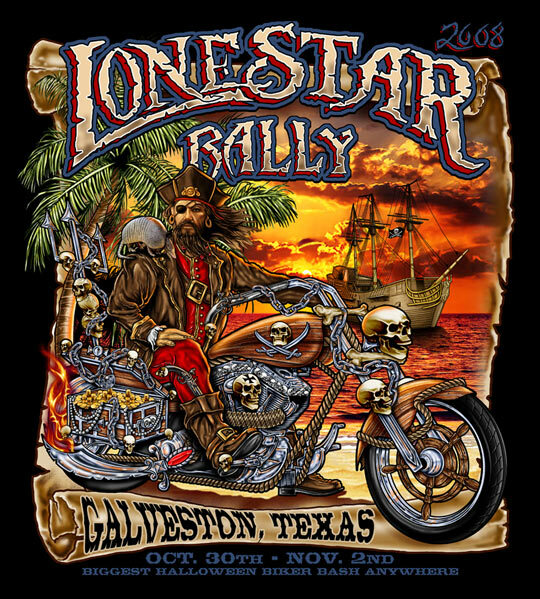 This entry was posted on October 5, 2008 at 10:37 PM and is filed under Custom Bike Show, Motorcycle Rally, Uncategorized with tags galveston, galveston rally, hurricane ike, lone star rally, Motorcycle Rally. You can follow any responses to this entry through the RSS 2.0 feed. You can leave a response, or trackback from your own site. Thanks for the link Ty. I hope the site does a lot of good for the folks who need it most.